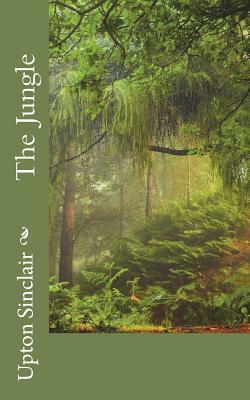 The Jungle by Upton Sinclair Upton Sinclair's muckraking masterpiece centers on Jurgis Rudkus, a Lithuanian immigrant working in Chicago's infamous Packingtown. Instead of finding the American Dream, Rudkus and his family inhabit a brutal, soul-crushing urban jungle dominated by greedy bosses, pitiless con-men, and corrupt politicians. While Sinclair's main target was the industry's appalling labor conditions, the reading public was most outraged by the disgusting filth and contamination in American food that his novel exposed. As a result, President Theodore Roosevelt demanded an official investigation, which quickly led to the passage of the Pure Food and Drug laws. For a work of fiction to have such an impact outside its literary context is extremely rare. Today, The Jungle remains a relevant portrait of capitalism at its worst and an impassioned account of the human spirit facing nearly insurmountable challenges. We are delighted to publish this classic book as part of our extensive Classic Library collection. Many of the books in our collection have been out of print for decades, and therefore have not been accessible to the general public. The aim of our publishing program is to facilitate rapid access to this vast reservoir of literature, and our view is that this is a significant literary work, which deserves to be brought back into print after many decades. The contents of the vast majority of titles in the Classic Library have been scanned from the original works. To ensure a high quality product, each title has been meticulously hand curated by our staff. Our philosophy has been guided by a desire to provide the reader with a book that is as close as possible to ownership of the original work. We hope that you will enjoy this wonderful classic work, and that for you it becomes an enriching experience.